Professor Shelley Hornstein taught in York's Atkinson Faculty of Liberal and Professional Studies from 1985 to 2002, when she joined the Faculty of Fine Arts. She is currently a cross-appointed faculty member in the following Graduate Programs: Art History; Visual Arts, Culture and Communications; Gender, Feminist and Women's Studies; and Social and Political Thought. 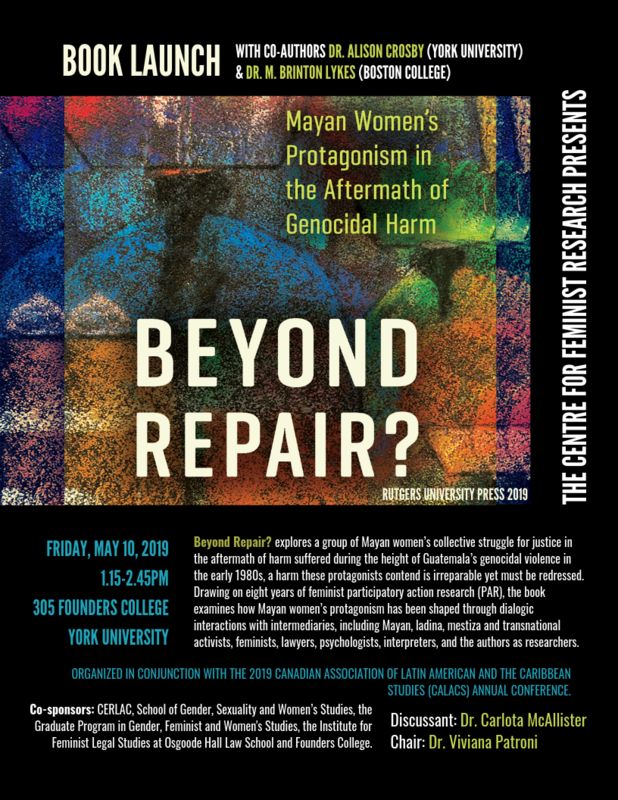 Dr. Mandell is a Professor of Sociology and Women’s Studies at York University, as well as a former Director of the Centre for Feminist Research and Chair of the Sociology Department. Her research and teaching interests include gender, aging, schooling, and family. An expert on community-based research whose community-academic research protocol (Mandell and Whittington-Walsh, 2004) is widely used across Canada, Dr. Mandell has a wealth of experience working with marginalized communities in the areas of classroom equity, family violence, feminist methods, and women’s rights. The 1993 - 1994 year saw a broad range of events and lecture topics; from re-interpretations of historical narratives to contemporary ethical issues in the constructions of sexuality and women's bodies to the application of feminist criticisms within the field of creative and visual arts. The Centre's Jewish Studies Committee, Disability Committee, Conference Committee and Cultural Committee were particularly active in organizing many events and talks throughout the year. In April 1994, a two day inaugural conference was organized for CFR titled “Post-Liberal Discourse and the Ethics of (Ms)Representation”. This event was the conclusion to a bi-monthly seminar series which ran throughout the year. Additional research activities and projects included (Other) Art, an art exhibition organized by Yvonne Singer and Bronwyn Cunningham which interrogated the history of feminist criticism and theory in the field of visual arts and art history. Additionally, the Centre for Feminist Research, in collaboration with the Centre for Jewish Studies, hosted the event entitled Remembering and Discovering: Jewish Women Revisit the Past, in honour of the Holocaust Remembrance Day. However, in addition to hosting a variety of events and lectures, the Centre also had the privilege of hosting a number of scholars from across the world including: Professor Anita Nyberg, Professor of Economics at the University of Temat, Sweden; Professors Jan Larbalestier and Justine Larbalestier from the University of Sydney, Australia; Dr. Purificacion Fernandez-Nistal, University of Valladolid, Spain; Professor Anne-Cranney-Frances, Australia; Professor Sukrita Kumar, University of Delhi College, India; Professor Elizabeth Binder, Johannes Kepler University, Austria; Dr. Usha Thakkar, SNDT Women’s University, India; Professor Lucy Frost , La Trobe University, Australia; and Professor Christine Delphy, CNRS, Spain.